The Coronado Counter Stool is a sophisticated, attractive chair that can be easily paired with any outdoor kitchen grill island or counter height bar; it can also be used as a unique dining option when paired with the Coronado Pub Table. Water and fade-resistant resin wicker is wrapped around rust-free powder-coated aluminum frames, creating the ideal patio furniture; weather-proof and free from worry. 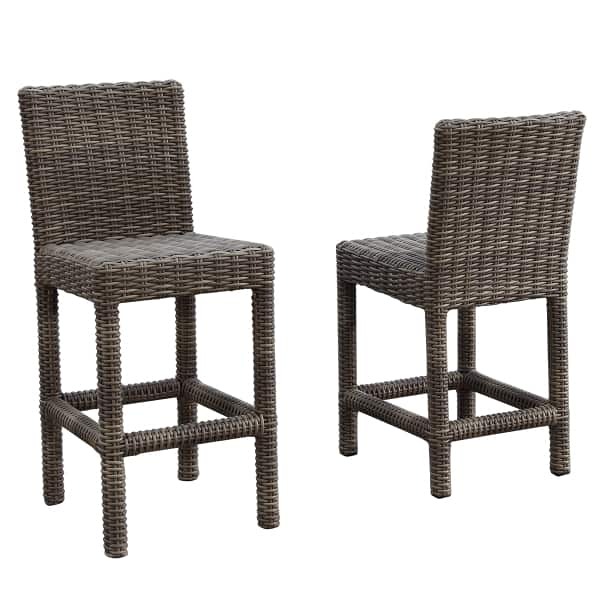 The Coronado Counter Stool comes with a Sunbrella seat cushion in a chic Antique Beige with Coco welting.